£2.50 off single web tickets for adult, child or senior for visits Friday 19th to Monday 22nd April Enter EASTER250 at the checkout, code expires at midday on 15th April! Does this code work for entry on 14th to 15th or purchase at this time for entry on Easter weekend?? You're booking between 19th and 22nd though? oh great. weekday deal finishes just before school hols start! we went today using our £1 tickets - had a wonderful day - my husband and I had our wedding reception at the Safari Lodge 12 years ago and were able to take our children today and reminisce, our eldest daughter also took our photo on the bridge, where we had our photo taken 12 years ago. a great family day and glad that Woburn honoured our tickets. we will be back - my husband proposed to me in the Abbey gardens, so it's a special place to us. 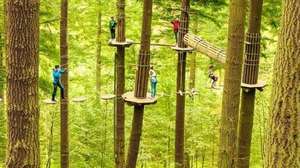 Enjoy if you get to go!!! 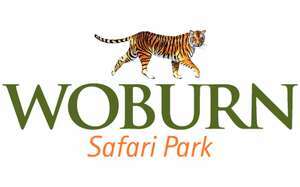 Buy a packet of Transform-A-Snack crisps for 25p and get a Free Child Ticket to Woburn Safari Park when a full adult ticket is purchased and submission to a free prize draw to instantly win one of four family safari holidays in Kenya worth £5,000! i was born in 1970 (10,10,70) so are they being picky on a particular date? ur birthday's sorted then, cheap day for hubby! a perfect day.. dog tired now though! feet are screaming for a foot spa..if only i could be bothered... if only i had one ..:( had a fab day, perfect weather and the penguins were my fave. could've done with a dip in the seal pool..twas sweltering at one point! thanks a mill spicy, have some rep for enlightening us of this fab steal. Yes, thanks again. Had an amazing day for £4 , even if a monkey did a big poo on my car roof! Great fun day and didn't we have great weather! Yep, rep given. sorry guys ... the three spare tickets went to a fellow hotukdealer about 30 mins ago . thank you. 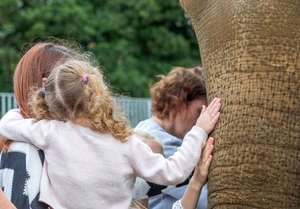 love the safari park but does work out quite expensive when paying full rate. We printed one of these off when the offer was first made, now on going back to get another the ticket terms have changed to "One voucher entitles you to one free child Woburn Passport ticket worth up to £15.50 when accompanied by one adult paying the full passport adult rate". Wonder if they'll still accept the original printout for free child entry? Does anyone know the cut off age for being a child pls?